Our team consisted of Stuart Tyson Smith, George Herbst, Michele Buzon, and Brian Park. Hassan Mohamed Ahmed, our representative from the NCAM, ably assisted us. The project was primarily supported by a grant from the National Science Foundation (BCS-0341789), with additional resources provided by UCSB. The entire area of the concession was covered and fifty-one sites were registered. As part of our goals, we wanted to produce a digital map of the archaeological sites that we identified in the area between El Kab and Mograt. 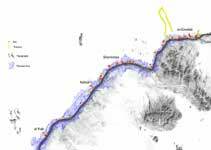 We were initially limited by the fact that current topographic maps of our study area were unavailable to us. To overcome this, we relied on the integration of satellite imagery and Global Positioning Systems data in a Geographic Information System-in this case ArcView GIS. We recorded a total of 51 sites. 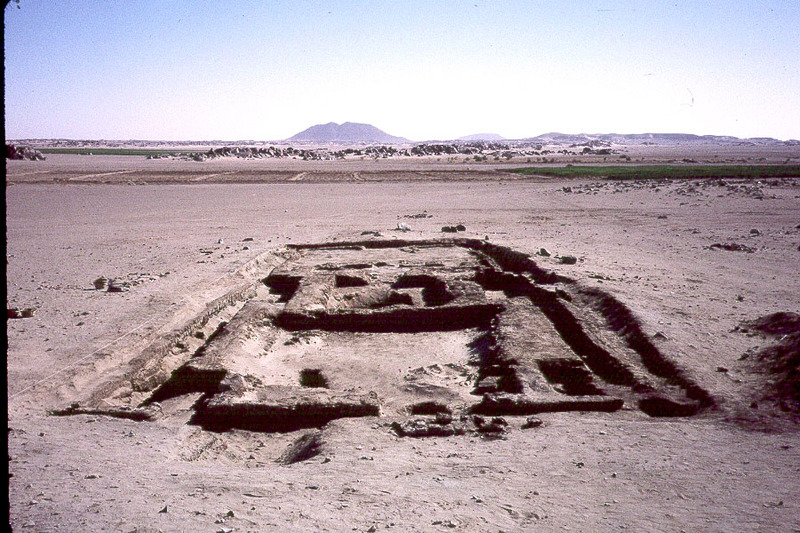 Neolithic and Kerma sites dominate the temporal inventory, accounting for 60% of the sites that could be dated. Meroitic sites were completely absent, and we could identify only a single Post-Meroitic cemetery, although it is likely that some of the undated tumulus cemeteries can be placed this period. Surprisingly, comparatively few Christian and Islamic sites were identified, indicating that the area was more sparsely occupied than the region further downstream, in spite of the existence of saqqia technology that would allow irrigation past the limited floodplain. This may reflect the high riverbanks, rugged terrain and large sand dunes that characterize this reach and continue to limit settlement. From 2006 to 2009, this salvage work entered its excavation phase as a collaborative project between UCSB and Arizona State University, directed by Stuart Tyson Smith, George Herbst (UCSB), and Brenda Baker (ASU). This work is supported by grants from the National Science Foundation, the Packard Humanities Institute, the UCSB Academic Senate and the Institute for Social, Behavioral and Economic Research at UCSB (ISBER). Results include the discovery of the only settlement sites in the region from the Neolithic and Kerma periods to have stratigraphy and remains of postholes and intact hearths indicating round houses, and the excavation of a large cemetery that includes an important transition from the late Meroitic period, through the Post-Meroitic, and on into the Christian era. ASU is following up in Winter 2009 with a final season of excavation.